As Malawians went to the polls on May 20th 2014, President Joyce Banda had been in power for just over two years. It seems that this was long enough for Malawians to decide they did not want her as their leader. It is not often that a population is able to “trial run” its president. And in many ways, President Banda could never have got it quite right. The country continues to be in dire economic straits and wide-ranging institutional reforms are long overdue. The 2014 presidential elections were touted as the most hotly contested since the country assumed a multi-party constitution in 1994. There were 12 candidates in all but only three real challengers – Lazarus Chakwera from the Malawi Congress Party; Atupele Muluzi of the United Democratic Front (UDF); and Peter Mutharika, representing the Democratic Progressive Party (DPP). The latter is still awaiting trial for treason for his part in the controversy surrounding the change of power following the death of his brother and late president, Bingu wa Mutharika. The election itself was one of the less salubrious moments in democratic Malawi’s history: insufficient ballot boxes, some polling stations opening 10 hours late, and voting stations recording more votes than there were people registered. The Malawi Electoral Commission (MEC) was ill-prepared for the political appetite of some seven million eligible voters. But it was when the electronic counting system crashed that the real concerns began. Banda called for the vote to be recounted and later demanded that the entire election be re-run – a move for which she lacked the requisite constitutional authority. Eleven days later, Peter Mutharika was declared the winner, garnering 36.4% of the votes. Banda did not even come in second, losing out to Lazarus Chakwera who received 27.8% to her 20.2%. Despite the ‘irregularities’ and problems with the process, most commentators seem to think that Mutharika’s victory was not down (solely, at least) to foul play. The raised eyebrows after Mutharika’s victory were not unfounded. In April 2012, his brother and then president, Bingu wa Mutharika, died of a sudden heart attack. The political jostling that followed his death was distinctly murky. Peter Mutharika attempted to fulfil his brother’s apparent wishes and shoehorn himself into the presidency. In line with the constitution, however, Vice-President Joyce Banda assumed office despite having fallen out of favour with the late president who had expelled her from his ruling DPP. The adherence to the spirit of the constitution at this politically sensitive moment was praised both locally and internationally. Bingu’s attempt to position Peter as his successor was seen by many as one of a raft of odd moves to retain power in his – or at least his brother’s – hands. Just over two years later, however, Malawians have voted him in of their own volition. Peter has no doubt made the most of his family’s legacy, in particular the consecutive years of food security Malawi enjoyed as a result of Bingu’s fertiliser subsidy programme. The same can be said for Atupele Muluzi – son of former president Bakili Muluzi – although he ultimately failed to mount a serious challenge at the ballot box. All candidates sought to capitalise on the shortcomings of Banda’s eventful time in office, including the allegations in the recent “Cashgate” scandal over the disappearance of some US$30m from the national coffers. Although Banda lead an anti-graft campaign, coming down firmly on those involved, it was always unlikely she would emerge unscathed. Especially in an election year. Then there were the criticisms she received early on during her tenure for travelling too much, not selling the presidential jet as promised, and distributing maize at political rallies – a favoured tactic among her predecessors. The 1994 constitution brought multi-party politics to Malawi. Its previous incarnation, drawn up in 1966, defined the Malawi Congress Party (MCP) as the only legally recognised political party and banned all opposition. The country’s first post-independence president – Hastings Kamuzu Banda – ruled Malawi for some 33 years. The last twenty years have seen the formation of new parties and peaceful transitions of power in multi-party elections deemed free and fair by national and international observers. Formerly a leader of the opposition UDF, Bakili Muluzi assumed the presidency in 1994 and was re-elected in 1999. 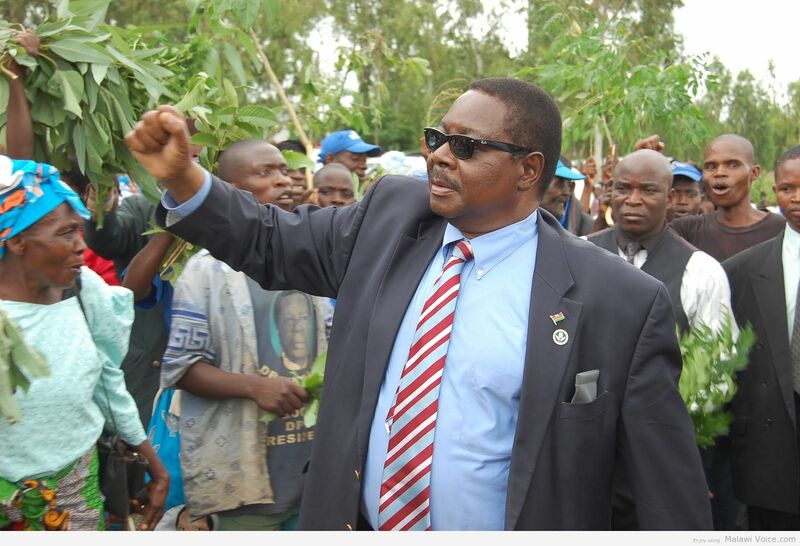 Bingu wa Mutharika won the 2004 elections on the DPP ticket and was returned to power in 2009 to serve a second term. However, Bingu’s reign became increasingly erratic and autocratic, leading to widespread protests and civil action in 2011. He was the subject of increasing criticism at home as the country became regionally and internationally isolated. Despite the reforms reflected in the 1994 constitution, the presidency retains extensive power over government and state institutions. The cabinet can be grown – or shrunk – on a whim. Members of the legislature are (to varying degrees) at the beck and call of such a powerful presidency. The question now is – what kind of president will Peter Mutharika be? Having made the most of the family name, will he display his elder brother’s disregard for the spirit of the constitution and the authority of institutions when things do not go his way? Can he oversee five years (or more) of relative political stability? What is his plan for implementing much needed economic, political and institutional reforms in a steady and consistent way? ‘Business as usual’ would not be a welcome or palatable option for Malawians. For most Malawians, the only way this election will make any difference is if Peter Mutharika can curb inflation, reduce food prices and fuel prices, and deliver affordable agricultural inputs in a fair and transparent manner to rural households. Anything less, and the voters’ faith in a second Mutharika may prove short-lived.